We fell in love a long time ago but there were waves of personal lessons we had to learn independently and hazy skies to shift before we could be together… Tameera you were the one that told me he was coming (back) before I even knew myself! You are my queen. Look how right you are about everything. Seriously you should get a medal for being so amazing. Check this out. You saved me. I was amazed to learn about my life path number, my day number and how it related to my life experiences, husband and children. Tameera helped me to work out compatibilities with my future staff according to their astrology and numerology. I do not make any major decisions without consulting with Tameera first to ensure that I’m making the right choices and decision in relation to my Astrology and Numerology. Hi Tameera, I had a session with you on Tuesday 25 Sept 18. I want to thank you, you really put things into perspective. Thanks so much Tameera for you genuine care and knowledge in numerology, I can see things more clear now thanks to your guidance. Last year when facing a few huge hurdles, I sought advice from Tameera using her skills and experience with numerology. The response was very helpful clear guidance – not only for myself but to others involved in my life. Thanks Tameera – you’re lovely and insightful. This is Annette, I’ve done a couple of readings and a Feng Shui consult with you. Mostly reading my fertility after trying to fall pregnant for years (now 44 and last chance at IVF)…. You gave me advice through astrology, numerology and Feng Shui. I’ve been meaning to touch base and tell you that I’m now 20 weeks pregnant! Thank you!! It’s been almost a year since we last spoke and I just listened to the recording of our session and everything was so accurate and helpful. You had even predicted I would go to Hawaii and my heart would feel full of love. I have just come back from Hawaii and that is exactly what happened! Tameera has a rare and wonderful gift to really understand a person and guide them to what they need on a deep, spiritual level. Tameera gave detailed insight into my life and the direction I should be going in. It was incredibly helpful and has put me on a path of fulfilment and happiness. My life has changed completely since our session and I am now living a life much more attuned to my true purpose. I highly recommend Tameera and will be seeing her again. Tameera is an incredibly gifted reader. She helps you to focus on your life’s potential and re-energized my motivation. I saw her on a day when I really needed support and left my reading uplifted, motivated and supported. Much of what she said I could instantly reference, other parts are in my future and I am motivated to move towards them. If you want a New Years resolution to be achievable I would advise your first step is a reading with Tameera. I seriously cannot thank you enough for everything, I truly appreciate all. You’re amazing! I met Tameera last week and our session exceeded my expectations. It’s the first time I had seen a reader/numerologist/astrologist, so I really did not know what to expect. Tameera was welcoming and made me feel so comfortable. She was able to tap into my energy and provide all the answers and reassurance I needed. It was quite scary how accurate she was in regards to who I am as a person as well as my past haha. Can’t thank you enough Tameera! Hi Tameera, Just got back to NYC! Thank you for my charts and for the hour we spent together. I Was able to come back here with a lot of clarity. Will definitely be keeping in touch. I wanted to thank you again for yesterday. I felt like we connected easily and, while I always come with a logical mind, I know when I feel the push to get some guidance – and perhaps, in a strange way, some validation – that I must listen and try my best to fulfil that need. You made me feel at ease so quickly – almost as if we’ve met before. The 30+ minutes flew by! Tameera is one of the most beautiful souls I’ve ever met! She’s so very insightful and amazing at her craft! I loved my reading with you and felt so comfortable speaking with you. I am also so happy and more confident after my 1 hour session with you! Thank you!! Really informative, lots of knowledge. Very confident on reading numerology. Tameera is very lovely and very knowledgeable. Really amazing insights! Tameera’s ability to succinctly communicate what you need/want to know, using an amazing scope of knowledge and intuitive ability, is a gift to us. Highly recommend! She picked up exactly where and who I am, helping me understand myself in order to learn from the past and embrace the good things to come. And thankyou for the clarification and validating feedback. 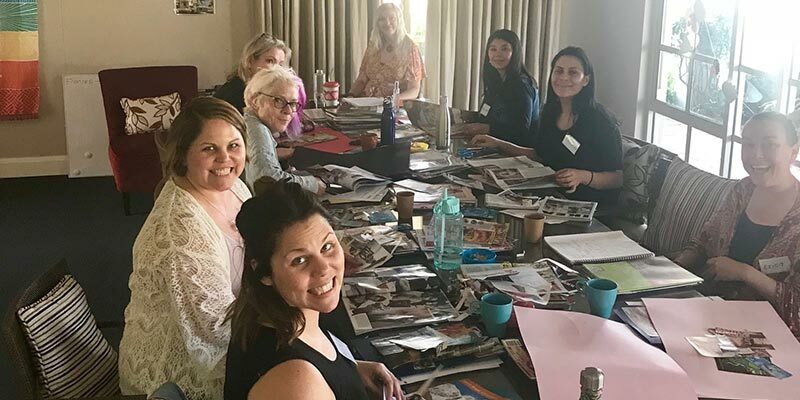 I have just enrolled for your Vision Board workshop this Saturday in Glebe so looking forward to learning a new technique for manifesting! Thank you Tameera, you definitely provided the comfort I was seeking. I don’t know what energy you transferred to me but I’ve not once felt overcome with emotion today – for that I’m grateful. I will certainly let you know how I go and what transpires in the next few months. Thank you also for letting me know my Nanna is still around and showing me proof!! Woooow!!! Thank you for the reading and sharing with me you can see me getting a degree in criminal justice because I want to be a detective. You are EVERYTHING! That’s amazing!! How did you know that?! Loved the positive energy you brought to me and can’t stop speaking to people about it. Thanking you! Hi Tameera – Thank you I loved your reading and it was so accurate. I wanted to say thank you for the session I had with you yesterday. You were gracious and open and kind and understanding, and I know you went over time with the reading you did for me – and I am thankful. Thank you for helping me confirm my Life Path, and for acknowledging for me that I am doing exactly the right thing for me at the moment. Most of all, thank you SO much for acknowledging my gifts and my talents. I’ve known for quite some time what my destiny is supposed to be and hearing it confirmed by another intuitive soothed my soul. You are a delight and a true gift to the world. Many blessings to you, now and always. Although I know there will be a few more blips on the radar, I feel so much more at peace now, now and I thank you for that. Please feel free to incorporate these comments for the testimonial on your website. Tameera is beyond intuitive! She made me feel very comfortable and inspired. I highly, HIGHLY recommend her for astrology and numerology readings! Thank you Tameera for all that you do. I feel so blessed to have crossed passed with you on my travels. I can only describe Tameera as a ‘hot blonde walking and talking encyclopaedia who knows numbers and astrology like the back of her hand’. Tameera is incredibly thorough in her ability to tell you the most intimate things about your soul in a way that is devoid of any woo-woo or disconnected New Age jargon. She has a knack for holding a neutral space that empowers you to navigate tricky transitions in your life while also simplifying complex astrological terms. Tameera is a game changer and a trailblazer who leads by example through her authenticity and open heartedness and inspires us all to be a wonderful version of ourselves. Here’s a HUGE pat on the back. I can right off the bat say the stand-out for you is your personal service. You care, and it’s obvious. Tameera is an amazing Astrologer and Numerologist who is able to integrate both sciences into an astonishing individual analysis of your life and journey using her sacred knowledge and intuition. I have had many Astrology and Tarot readings but none of them have been as accurate as the reading and analysis which I received from Tameera. She is extremely accurate and will ascertain things that make so much sense and you’ll wonder how she could ever know these incredible details about your life. Compatibilities are assessed and explained. She was also able to explain at what phase of life (pinnacle) I was going through which explained so much to me and my current circumstances. Tameera also explained past pinnacles which finally shone light on a difficult part of my life. It all made sense when explained in this manner. What a divine gift Tameera has to share with us and assist us on our life’s journey. Tameera’s gift for combining her extensive knowledge of Astrology and Numerology means that she was able to provide me with a clear map of the path ahead. 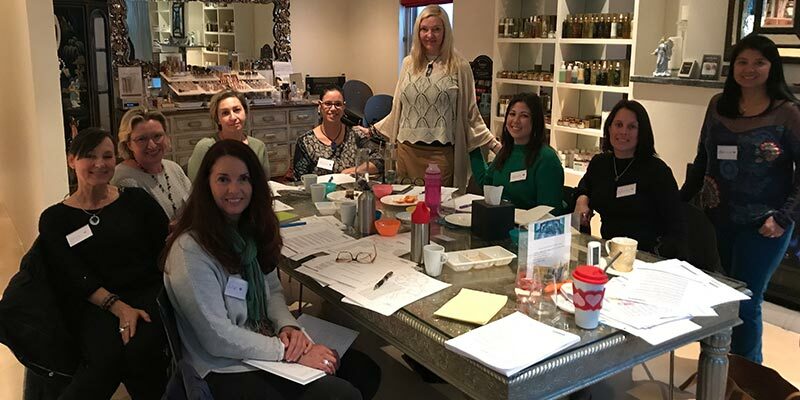 In our session, she highlighted several areas that would be rising in importance in my career and personal life over the coming months and year and this information has enabled me to adjust my focus and bring me into a serene sense of flow and abundance. As I work in the Spiritual arena myself, I recognise and appreciate Tameera’s deep sense of dedication and her gift for her work. Just spent some time by the ocean on a cliff gazing at some amazing cloud shapes and soaking up the sun’s vibration… can literally feel myself illuminating as the day goes on. Thanks Tameera for your wonderful insights and reassurances from your astrology and numerology reading. Feeling very much in myself and my power today. Tameera’s readings are always incredibly detailed and her insights continue to be perceptive and offer guidance for a long time afterwards. Tameera is able to bring together diverse elements of life knowledge in her readings. I am fortunate to know someone who has such great sensitivity and awareness. I was so pleased to meet you and gain a lot of insight into your modality. You did such a great job of convincing me of the benefits of Numerology. Your enthusiasm was infectious and it certainly is your greatest attribute. I printed a copy in colour to present to my daughter of the emailed reading you sent and she was amazed at how you now so much about her and that I had it completed for her. I met Tameera over five years ago, and she continues to be a very magical and important part of my life. Her insight into numerology and astrology has helped me in my relationships – work, personal life and with myself. Her guidance is delivered in the most clear and sensitive way and over the years she has been absolutely accurate about everything that has unfolded in my life. Tameera helps me understand how to be my best self and I am forever grateful to have her in my life sharing her gift. Just wanted to thank you for your time earlier today – such an amazing phone call that has filled me with a lot of clarity and further motivation. Tameera is exceptionally professional at what she does but at the same time she is a very warm and energetic person. Such qualities can rarely be found in the same person. Working with her is a real pleasure and a unique experience. Tameera is honest, hardworking, she loves to help people and has lots of experience in the metaphysical world. She is also a great communicator and to top it, she is a delight. Tameera has created a great source of information to help people as well. Hi Tameera – Again I can’t thank you enough, you are truly such a beautiful wise wonderful soul and I feel so blessed our paths have crossed. You have given me the confidence and faith I need to move forward in love and light and hope and I thank you with all my heart for being so generous to me with your time and love. A wonderful and insightful reading! Absolutely loved it. Thank you for helping me understand the vibration of using my married name and this is better for me. It all makes sense now. Tameera makes the experience of selecting a name or transition from one, feel like an empowered, informed and educational rite of passage. She is an astrological and numerological professional that sheds light on the aspects of your life you had absolutely no idea about. By offering crystal clear explanations about how your personal vibration has the potential to magnify your life through simple adjustments. Tameera has been a great help in assisting with the decisions of the baby name for our upcoming little boy. She used numerology to find the best compatibilities to both us as parents and a name that would bring out his best personality traits and destiny. I’m so grateful for her help as I had over 15 names picked out initially and she made the process easy, intuitive, informative and interesting. I highly recommended Tameera for any new parent needing help deciding on the right baby name for their new bub. Tameera is a lovely person which makes her Feng Shui workshop special, she’s very generous with information, has great knowledge, is creative and intuitive. Very interesting! I love how enlightening all the info is and Tameera is very attentive to all our questions and needs on Feng Shui. Hi Tameera, Thank you very much for the uplifting session and the follow up email. I felt like I was meant to meet you last week. I have put the 2 on my door and felt an instant change. I can’t explain it, but it was a positive feeling. Also, after you helped me with Feng Shui I decluttered this weekend and that also helped as well. It has been such a blessing to meet you on my path. That day you helped me a great deal at the Mind Body Spirit Festival Sydney…. I listened to every word of advice and actioned with Feng Shui’d to my home, office and car from your helpful advice and I ended up laughing with a fab success story that followed from your guidance. Wow. So thank you. You were at the right place at the right time. I’m so utterly grateful….. and that helpful hand…has stayed with me…. and I really felt and noticed the difference. So I will return business to you…. that’s a given. Hi Tameera, I was at your Feng Shui workshop last night. I loved it! Hi Tameera – Thank you for sharing your information about Feng Shui. There were a number of things that you said in the class that really touched and resonated with me. I really enjoyed the session. Tameera is amazing and a real person, not just a faceless internet bot that you feed data into. She has a personal magnetism that you have to experience to believe. She sat down with me and in 5 minutes, by hand, took my numbers and explained what they meant in plain English. No fancy algorithmic program, or calculous. Her vast experience in numerology, astrology and feng shui is really apparent. She then took a look around my condo, and with an eye to Feng Shi, explained to me what belonged facing in what direction, from plants to colors and more. The results were instant. Again, no charts needed. She just knew. It took me a few months to get it mostly in order and even after 2 years, I’m still improving it based on her evaluation. I have a very cool red piece of artwork that I am waiting to arrive to hang in a particular spot. Last week, I had a chat with a friend from China who confirmed everything she recommended. From jobs rolling in, to unexpected checks coming in the mail, and of course the mental and spiritual harmony it brings, she’s really changed my life. I can’t recommend her enough! Tameera’s Feng Shui workshop was perfect! I’ve already begun using the skills I learnt. I also loved learning about space and values in life. Tameera was delightful and gave everyone attention. Time is always limited when there are a number of people with various issues to be addressed. Tameera is a knowledgeable life changing presenter!! It was great value for money and I loved the workshop. Tameera is a lovely person which makes her workshop special, very generous with information, has great knowledge, is creative and intuitive. Loved the Feng Shui workshop evening! Interesting and informative. Great info – I will try it all at home. It was a great workshop Tameera and I learned a lot from you. The venue was lovely and I loved the information. Thank you very much for sharing your knowledge Tameera. Hi Tameera – Thank you for sharing your information about Feng Shui. There were a number of things that you said in the class that really touched and resonated with me. I really enjoyed the workshop with you. Hi Tameera – It was wonderful to meet you last night at the feng shui class and will activate your wonderful insights this week. Hi Tameera, it was lovely to meet you and I really enjoyed your Feng Shui workshop in Sydney. I was actually quite surprised at how my house layout and room design already really fitted in with Feng Shui principles. I am however going to enjoy implementing some more ideas over the coming days. I have already moved my globe into the correct room, knifes are placed in the cupboard and I have purchased a couple of sun catchers 🙂 Look forward to coming along to another of your workshops in the future. 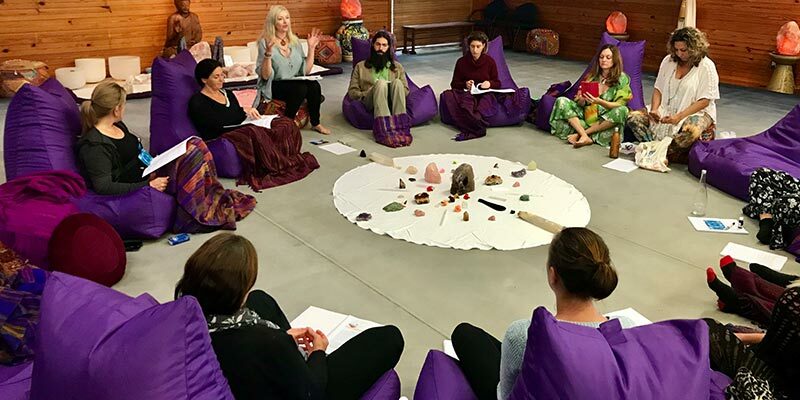 Thank you so much Tameera – We loved your Feng Shui workshop and we can’t wait to start implementing some changes at home. Thank you so much for all of the information you shared. Best wishes and have a great day. It has been such a blessing to meet you on my path. Tameera was a delight and gave everyone attention. Time is always limited when there are various issues to be addressed. I found her Feng Shui workshop absolutely perfect and loved the handouts and materials. Tameera is delightful and gave everyone attention. Time is always limited when there are a number of people with various issues to be addressed. The workshop duration was perfect and have already begun using some of the skills I learnt. I found learning about the space and values in life most helpful. Tameera is a very knowledgeable presenter! Great value for money. I’ve already begun using all the skills I’ve learnt. I thought the content level was perfect for the class. Tameera was very patient ane kind to all her students. She had fabulous knowledge and I think we all walked out eager to put into practise after a successful afternoon. 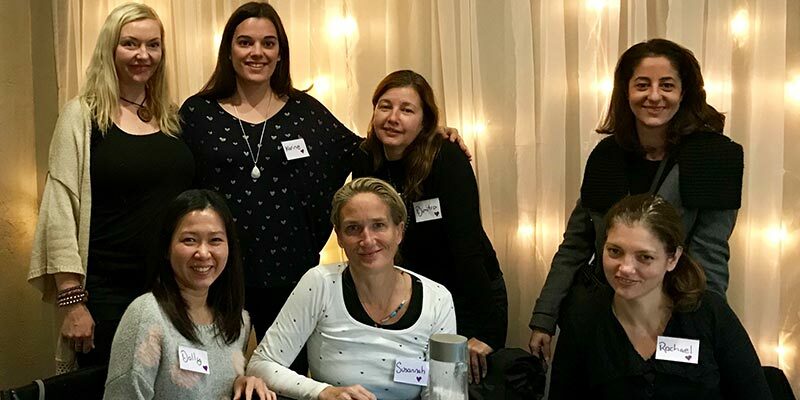 It was my pleasure to be able to attend your workshop where you have shared your knowledge and experiences in astrology and numerology with us Tameera. Definitely it’s giving deep insights of the things happening in this universe and our life that we could avoid by taking extra caution during certain periods. It’s like opening a pandoras box that reveals the secret of the universe…. amazing things to learn and useful tools to help ourselves and others. I’m really grateful to be able to learn this knowledge from you. You are amazing and also have beautiful soul. Thank you so much for a beautiful afternoon yesterday – it was so lovely to meet you 😉 The workshop and venue was perfect! Wonderful company, wonderful energy and fantastic content! Thank you also for the stunning lotus flower postcard – I have pinned it up next to me in my office and I cannot stop looking at it – such a beautiful reminder of not only yourself, but also of the infinite power and beauty of our universe. So much amazing information it was wonderful thank you so much! And lovely venue! Amazing woman with amazing skills. Highly recommend taking one of Tameera’s classes! Lots of great information and knowledge. Great value and venue! I learned more about myself and made new friends! So much great information thank you! I learned how to read a chart, with insight into the planets and their influence. Since Sunday I’ve been talking to everyone about your course, and was even calculating the numerology for my construction team and the engineer yesterday. 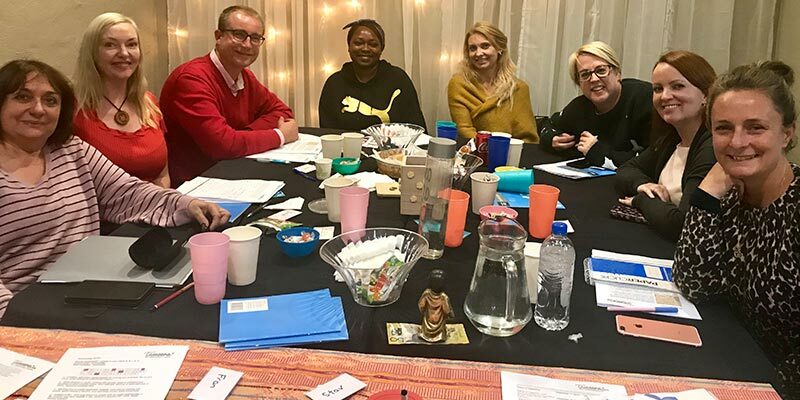 They were amazed how spot on the readings are and funny enough we all have the same numbers so not a shock that we have a good team who all gets along! Wonderful to get so many great handouts to take home! I also gained an understanding of why I’m feeling the way I am. So much to digest! Numerology and astrology was very insightful, I will put this into practise. Thank you!! It could have been longer the afternoon went to quick with a lot to fit in. Tameera is very lovely and very knowledgeable. Really amazing insights! Awesome crash course where I learnt the essentials of numerology and astrology. Thank you so much Tameera! Very comfortable room, I enjoyed the afternoon and snacks! Tameera is very informative, I enjoyed the personal readings. Awesome content learnt lots of new things! Thanks Tameera it was a lot of fun! Amazing woman with amazing skills. Highly recommend taking one of her classes! Love the handouts and the amount of information. Very informative in a warm and friendly environment. Hi Tameera, Thank you for the workshop today. It was great to have an introduction to this fascinating topic. 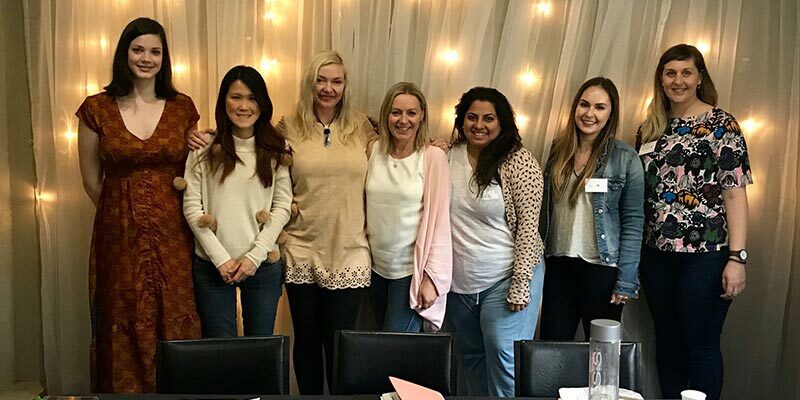 Thank you so much for a beautiful afternoon yesterday – it was so lovely to meet you 😉 The astrology numerology essentials workshop and venue was perfect! Wonderful company, wonderful energy and fantastic content! Thank you also for the stunning lotus flower postcard – I have pinned it up next to me in my office and I cannot stop looking at it – such a beautiful reminder of not only yourself, but also of the infinite power and beauty of our universe. This is my second vision board workshop with Tameera and I’m very happy! 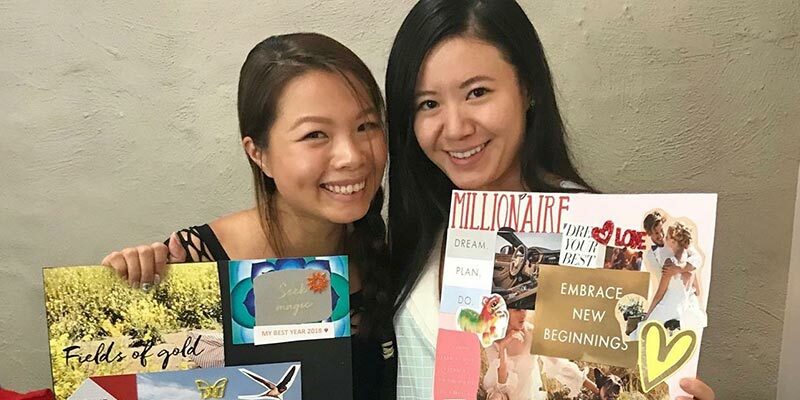 I loved Tameera’s deep understanding of the law of attraction, energy and vision boards with her ability to communicate this easily and simply. The afternoon was perfect. 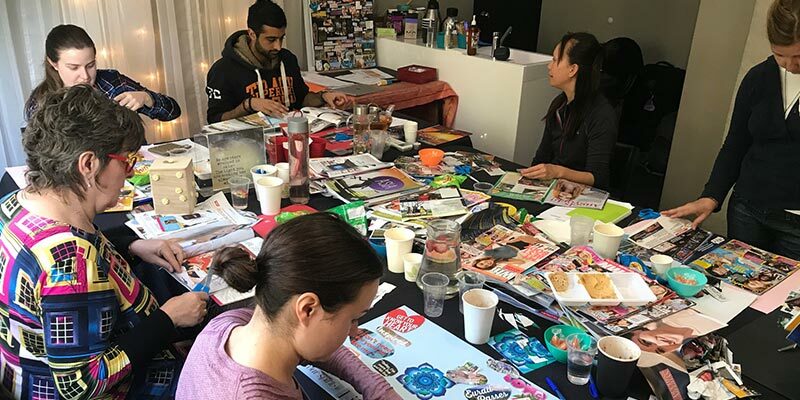 Tameera’s vision board workshop was life changing. She is a beautiful soul with a fun sense of humour. Tameera gives so much to everyone. Tameera’s workshop was life changing and absolutely perfect! It was also interactive!! Tameera is a wonderful facilitator with so much knowledge, wisdom, insight and beautiful energy. I left feeling inspired and understanding my intentions. I would not change a thing and am going to recommend it to all my friends! 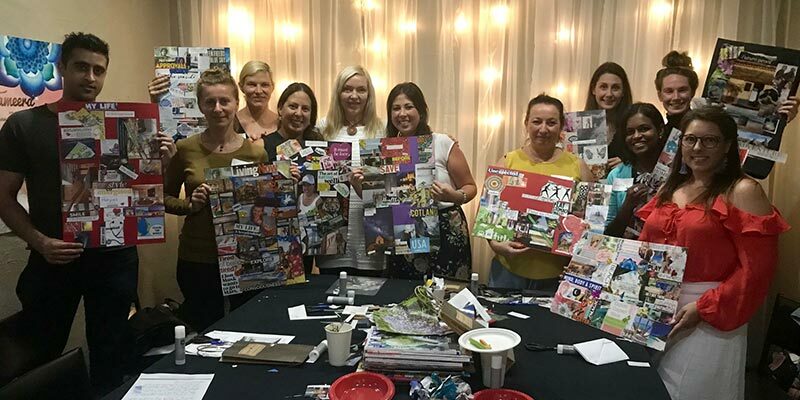 Very happy with Tameera’s vision board workshop! This is my second workshop with Tameera. The handouts were very useful with great guidance. The dream-sheet was great and I loved the meditation. Thank you for the inspiration and insights. I’m ready to manifest some positive changes in my life. Today’s workshop was the first step to help me move forward in my healing journey. The supporting handouts were a great reminder. Tameera gave a lot of information but that’s awesome and handy. I loved all of it and would not change a thing. I experienced a wonderful afternoon, felt in-touch with myself and loved the group experience. 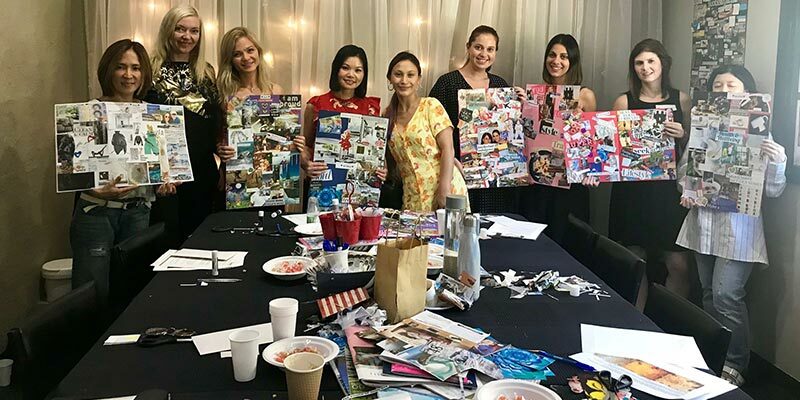 Tameera’s vision board workshop was perfect! I found the explanation at the beginning and guidance with the part I was stuck at and my new symbol for money so helpful. I would like to do more of her workshops. There was a lot of great knowledge shared during the workshop. Great location, serene and peaceful. Could have stayed all night!! You can’t put a price on enlightenment 10/10. I feel I am moving closer to where I am meant to be. Thank you Tameera! 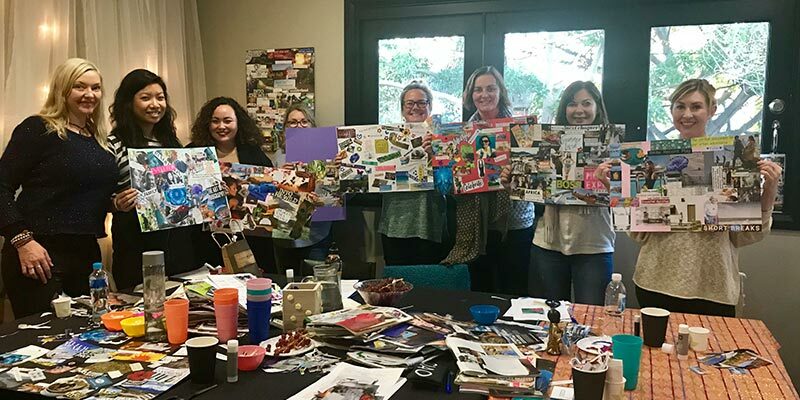 I attended your vision board workshop last year! I loved the experience. Just as a little follow-up, each ‘vision’ in love, life, career, travel, spirituality etc on my board came to fruition. I would look at that board every day but I only realised it at the end of last year when I read the letters that we stuck on the back and reflected further on my original goals, intentions and feelings when I made it. I couldn’t believe it. I’m making another one for this year soon. I can’t wait. My mum will be making one with me too!